Now that 2019 is actually upon us, it’s time to start putting those New Year’s Resolutions into action. If your focus is health and wellness going for the coming year, you’ve come to the right place. We know how tough it can be to create healthy eating habits and actually stick to them. So we took it upon ourselves to put together a little cheat sheet of healthy recipe ideas, starting with your first meal of the day. A mix of bell peppers, mushrooms, tomatoes, spinach, and chopped onions sprinkled inside a delicious, protein-rich omelet. Top with parsley, salt, and black pepper to taste. The ultimate source of AM energy and protein. The perfect mix of sweet and sustainable. Warm oatmeal, apples, and your choice of flavorful berries. Maple syrup is optional (but highly suggested) for the healthiest ‘cheat day’ ever. Avocados do have some benefits (apart from just being super trendy). Not only are they full of nutrients like fiber and potassium, but they’re also low in carbs which means they won’t cause a spike in energy, followed by a crash. Could this be the key to a balanced (and Instagram-worthy) breakfast in 2019? Maybe. Rolled oats, banana slices, flax seed, almond milk, cinnamon, and pumpkin seeds. These nutrient-rich, wholesome, and flavorful ingredients are the perfect way to start your day. Adjust the portions and combinations for your desired thickness. Add spinach, eggs, and your favorite vegetables and spices. Place cooked ingredients in the center of a warm, whole wheat tortilla and roll it up, burrito-style. Top with feta and enjoy! Breakfast has long been referred to as the most important meal of the day. It has been associated with a number of advantages like improved memory recall in adults and higher IQ scores in children. Still, many of us skip this meal altogether, or we opt for foods that are convenient, but not low in nutrients. As if that weren’t enough, experts also think some breakfast options might lead to improved health and the possible prevention of some diseases. Where do we sign up? Which Breakfast Foods are Best? 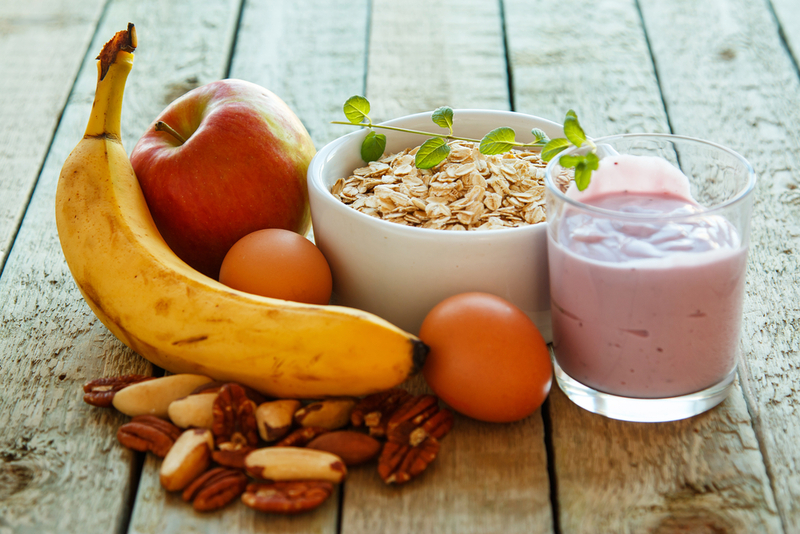 In order to reap the benefits of a healthy breakfast, experts suggest incorporating foods that support lower, stable levels of blood sugar and have high levels of protein. If you don't want to make your own breakfast, let Kate's Kitchen or Ronnie's Restaurant in Kansas City do it for you! Click here to take a look at our menu.